To make a donation now, click this "Donate" button. You can also designate your donation for a specific purpose and set up recurring donations. The Earl Wentz and William Watkins Foundation was created through a generous contribution by William Watkins in memory of Earl Wentz and is supported by gifts and grants from private individuals (alumni, friends, supporters of the arts and arts education) and corporations. Donations and property given or bequested to the foundation are applied by the Board of Directors strictly to the purposes for which the foundation has been incorporated. "I give, devise, and bequeath to The Earl Wentz and William Watkins Foundation, a corporation organized under the laws of the State of North Carolina, the sum of . . . . . dollars for the corporate purposes of said Foundation." Our fundraising goal for this year is $50,000. Your gifts significantly impact our ability to provide scholarships for our programs to students-in-need! Your gifts will enable us to significantly expand our program offerings in 2019 to include additional workshops and expanded workshop weeks, as well as musical events. As of February 2019, we've already increased our student count five-fold! The Easiest Way to Give! It’s simple and easy to set up! It’s like making a pledged gift so that you don’t have to think about it again! And . . . it helps us to be able to make more concise and accurate budgets for our programs, knowing that your gift will be arriving on schedule. Give today and help us reach our annual goal! Remember to check with your employer's human resources department to see if they will match your tax-deductible contribution! You can support The Earl Wentz and William Watkins Foundation while conducting online shopping and auctions. Just use one of these sites and designate The Earl Wentz and William Watkins Foundation as your charity of choice and a donation will be made to the foundation. 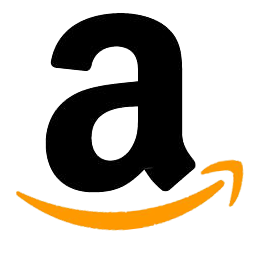 and Amazon will donate 0.5% of the price of eligible purchases to The Earl Wentz and William Watkins Foundation whenever you shop on AmazonSmile. Sellers: Just designate The Earl Wentz and William Watkins Foundation to receive 10 – 100% of your final sale price the next time you list something great. Did you know that charity listings often get more bids and higher prices than regular eBay listings? Boost your sales and support our work while you’re at it! Plus eBay gives back to you too, with a fee credit on your basic selling fees. as your regular search engine, choose “Earl Wentz and William Watkins Foundation” as the charity to support and every search you make will result in a donation to our foundation. before you shop online, choose “Earl Wentz and William Watkins Foundation” as your charity and a portion of the proceeds generated by your purchase will be donated to our foundation. GoodShop works with 5,000+ stores to provide deals and coupons. and a portion of every purchase you make will be donated to the foundation.